We are proud to present the next installment of Inner Moonlight! 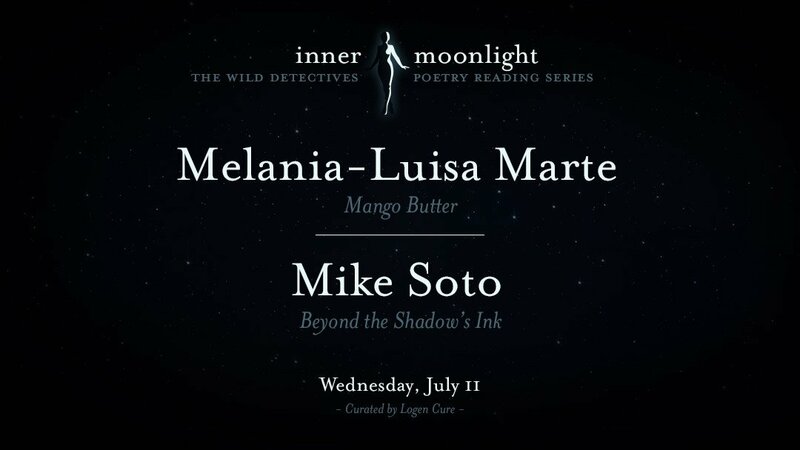 Poets Melania-Luisa Marte and Mike Soto will feature, followed by a brief open mic. Melania-Luisa Marte is a first generation American. She was born in the Bronx and raised in the Lower East Side of New York City. Her multi-cultured upbringing inspires her to write about navigating the world as a native Spanish speaker of Afro-Dominican descent. She is also a member of the 2017 Dallas Poetry Slam Team currently ranking 5th in the nation. She has performed, featured, and competed in cities across the country. Marte was a finalist at the 2017 Texas Grand Slam Poetry Competition and ranked 5th in the 2018 Women of The World Poetry Slam Competition. She works as a Teaching Artist and Creative Workshop Facilitator. Marte’s poetry explores many subjects including her Afro-latina roots and culture, intersectional feminism, and self-love. She is currently working on her debut collection of poetry, Mango Butter. To learn more visit, www.melanialuisa.com. Mike Soto is a first generation Mexican-American, raised in East Dallas and Michoacán, México. His current manuscript uses themes from the current drug war place along a fictonal U.S./ Mexico border town. The manuscript can be described as a Narco Acid Western told in forty five poems. It is written in lineage with Alejandro Jodorowsky’s film, El Topo. Poems from this manuscript have appeared in The Iowa Review, Fields, Poetry Northwest, New Delta Review, Hobart, Huizache and others. His chapbook, Beyond The Shadow’s Ink was published in 2010. This is the first Inner Moonlight on our new night, the second Wednesday of the month! Mark your calendars for upcoming shows.